"You have been in business forever and you will be there if..."
"Kevin was able to answer all questions I had and had a..."
By Joe And Deb L.
"It started with Kevin Bumstead explaining what work our..."
This home took on a total transformation! We added some top of the line products to increase its look and value, and the homeowners selected a drastically noticeable look with color choice. Our team will guide you through the process and help find the perfect solution for your home's needs. Our crew was able to correct a rotted out bay window structure, and while they were at it they installed James Hardie to this home to extend the life and durability of this beautiful Tudor style. We had also cut out an extra window in the attic to replace a small one the homeowner had originally. Another beautiful installation from the team at Stan's! My parents have a leak from roof. My father says that the roofers that did roof did not seal the vents right. I would like to know how much would it cost to make sure all vents , soil pipes and heat cone are replaced and sealed right. Thank you. I would like to get a quote on new siding, gutters, and soffit. Raccoon damage need estimate for insurance. We have the original wood siding on the house which was built 1975. We are looking for vinyl siding and would like an estimate of but also what the installation will entail. We both work so we would like someone to come out after 4pm. Thank you for your attention. We need a tear off, (there are already 2 layers of roofing) and new roofing. Depending on cost, there is also some siding to replace also. We need new siding on the second floor. We also need to add insulation. A neighbor suggested taking off the plywood and adding batting between the studs before adding new siding. Our guess is the siding is original to the house, which was built in 1969. Leona F. S Westport Dr. If you're looking for a local home improvement company in Palos Hills to help you with your roofing, siding, or window needs, Stan's Roofing & Siding is the company you need! We provide complete roof repair, roof replacement, siding installation, and replacement window services. 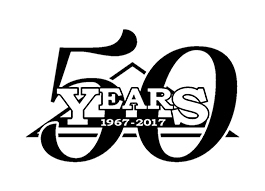 Stan's Roofing & Siding has been serving Palos Hills since 1967, and we know what it takes to give your home the upgrades it needs. We work with top of the line products from industry-leading manufacturers, ensuring you get a quality solution every time. When you work with us, you can count on expert craftsmanship and outstanding customer service. Has your home been damaged by a storm or experienced a roof leak? Roof damage is a major concern for any homeowner, and Stan's Roofing & Siding can help you keep your roof in good condition. We offer roof repair for all types of problems, including roof leaks, broken and torn shingles, wood rot, storm damage, and more. If your roof is severely damaged or past warranty, roof replacement may be a better option for your home. We offer full roof replacements for a variety of roofing materials, and our experts will help you determine whether repairs or replacement is the best option. If you're interested in roofing, siding, or window services for your home, call Stan's Roofing & Siding today. We offer free estimates in Palos Hills and nearby! All trim and windows are installed in this gorgeous side view of the home. On this side of the home we cut out an additional window for the attic. The trim boards were still being added on. Remove existing siding and replace it with fiber cement panels in the Tudor style as it is now.